The lemon is a small evergreen tree native to Asia, and the tree’s ellipsoidal yellow fruit. The fruit is used for culinary and non-culinary purposes throughout the world, primarily for its juice, though the pulp and rind (zest) are also used in cooking and baking. 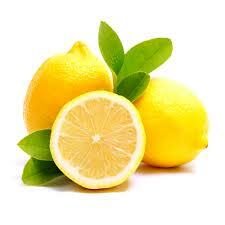 The distinctive sour taste of lemon juice makes it a key ingredient in drinks and foods such as lemonade. In addition to their unique phytonutrient properties, lemons are an excellent source of vitamin C, one of the most important antioxidants in nature. Vitamin C is one of the main antioxidants found in food and the primary water-soluble antioxidant in the body.